The moment you decide to move there will be thousands of questions that will flow through your mind. Knowing the average moving costs of your move up front should ease some of that burden. Figuring out how much your move will really cost can be really frustrating that regardless of how thorough you are. 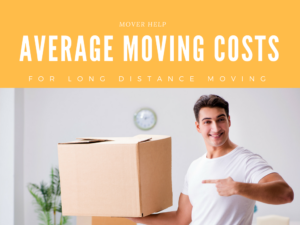 Also, the move distance between the two homes in-state or less than 150 miles (local) or long distance or more than 150 miles will affect your average moving cost. Don’t Forget! The only way to get an accurate estimate of the costs of your move is to have your chosen moving company perform an expert visual inspection of your home and give you a precise price quote. 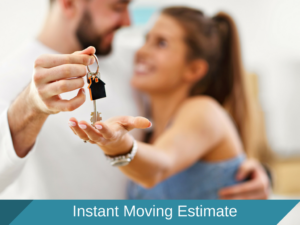 The approximate costs of moving you’ll find in this article should serve as a useful preview of what your actual moving quote will look like. In reality, these approximated values can only be used as guidance because the real-life moving company rates will be dependent on the region where you live, your town or city, the moving company itself, and the specifics of your own local or long distance move. In most cases, moving house with the help of a professional moving company is the preferred way to approach the numerous challenges of that significant period in one’s life. As a rule of thumb, turning to the pros for assistance will eliminate plenty of stressful guesswork and will make the entire house relocation much faster and easier. The only drawback is that you will have to pay for their moving services but that often proves to be a disadvantage in disguise the moment you calculate the potential risk and dangers of self-moving, add up the lost time in doing it all by yourself, and include the possible irreparable damage to your nervous system. So, what are the average full service moving costs? The cost to move furniture, for example, will be calculated based on the weight, size, and nature of your home furniture. Expect to pay more if you need experienced packers and movers to handle bulky, super heavy or antique furniture pieces. The cost of moving furniture will also be dependent on the specific conditions in your home such narrow corridors and staircases, smaller doorways or unavailability of an elevator. For instance, if some of the furniture pieces will have to be disassembled, the furniture moving costs will be respectively higher. 1-bedroom apartment. The cost of moving out from a 1 bedroom apartment to a new home located 500 miles away is around $1500, while moving to a new address 1000 miles away should cost you roughly $2000. Both these prices have been calculated for a shipment weight of 3500 lbs. 2-bedroom apartment or house. The average moving costs for a 2 bedroom apartment or house are roughly $2000 (500 miles) and $2500 (1000 miles). Both costs have been approximated for a shipment weight of 5000 lbs. 3-bedroom apartment or house. The average moving costs for a 3 bedroom house or apartment are approximately $2600 (500 miles) and $3500 (1000 miles). The shipment weight for both values has been rounded up to 7500 lbs. Please keep in mind that the above mentioned average moving costs per mile and average moving costs per pound can only be used as reference values due to the case-by-case nature of residential moving. As mentioned above, approximate moving company costs can still be useful for forming a general idea of just how strong a hit your budget will take. For much more accurate price estimation, get free quotes by filling out our quick moving costs calculator. According to U.S. Census statistics, 19 million American households pack up and move each year. In 2010, Worldwide ERC, the Worldwide Relocation Association, reported the average professional household move cost $12,230. When it comes to a professionally handled interstate move – one that takes you from one state to another – load weight and distance traveled are the two biggest factors in determining the cost of your relocation. The weight of your items is actually measured on a scale. Before the move, the empty truck is weighed; you may ask to accompany the driver to the scale during the weigh-in to ensure everything is on the up-and-up. Your mover should provide you with an “empty weight” receipt or certificate. The truck will be weighed again once it is loaded with your items. A reputable mover will provide a cost estimate prior to your move. The estimate you receive will only be as good as the information you provide. If you have a shed full of bikes and tools that you failed to mention when the movers did their estimate, the estimated weight of your load won’t be accurate. Likewise, estimates given over the phone are not as accurate as those given in person. Companies can “guess” what your load will weigh based on an average 1- or 2- or 3-bedroom home, but if your home is minimally furnished or jam-packed with items, the estimate will be off. The fee for moving an average 1,000-square-foot, 3-bedroom apartment (goods weighing 5,500 pounds) from Boston to Miami would be approximately $4,400 to $4,900. The same 1,400-mile move for a 2,800-square-foot, 4-bedroom household (20,500 pounds) would likely cost $14,600 to $15,600. Same distance, different loads. For comparison, consider that moving a 1,000-square-foot, 3-bedroom apartment (5,500 pounds, same as above) 200 miles from Boston to DC would cost roughly $3,200 to $3,700. Same load, different distance. A transportation surcharge if the moving company pays workers more for working in metropolitan areas, where labor costs are often higher. Charges for moving heavy items such as automobiles, boats, riding lawnmowers, snowmobiles or pianos. Additional charge for specialists brought in to disconnect gas mains or disassemble/assemble pianos and pool tables. Additional charge if your street is too narrow to accommodate the moving truck; movers may need to shuttle your belongings from your home to the truck via a smaller truck. Be sure to ask your moving company’s sales representative about these add-on costs. Are there things you can do to avoid or reduce them? Working with the city to reserve parking space right outside your door, for instance, may prevent a surcharge. Remember that the fees you pay to your movers are only a portion of what your total move will cost you. You also must factor in your personal travel and accommodations, on-the-go meals, the cost of new vehicle registration and driver’s license, utility hook-ups, and carpet and drapery installation. The financial burden can be pretty large, and can grow depending on the place you’re moving to; be it a move within the same city, between states, or to a different country. Whether you’re single or moving with your family, the total cost to move will vary depending on the cubic feet of items being moved; which directly impacts the size of the moving truck you use or the amount of movers you may need. It might be helpful to write down the number of items being moved, along with their weight and size before moving onto getting an estimate. The next thing to focus your attention on should be the time it takes to actually make the move. If the move is not properly planned, it can become a stressful production. One way to plan for the amount of time it will take for the move is to consider how long it will take to move large items, time spent loading everything onto the truck, time spent moving all of your items to your new location, and time and effort unloading the truck. How does our moving calculator help? It can be difficult to estimate the cost of a move. There are so many things that pop up that most people don’t consider. How will you ever be able to calculate an accurate estimate of your moving costs? Try the Monster Movers moving calculator which will provide you with a free moving estimate. It makes the task of budgeting for a moving company’s assistance easier than ever. With regards to average moving costs – remember hiring the cheapest or most expensive movers won’t guarantee any level of service. 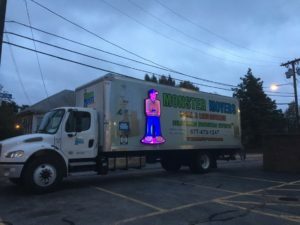 You really have to look at what moving services your movers offer to find the best movers for you!